Harwell, Oxfordshire, 25th May, 2017. 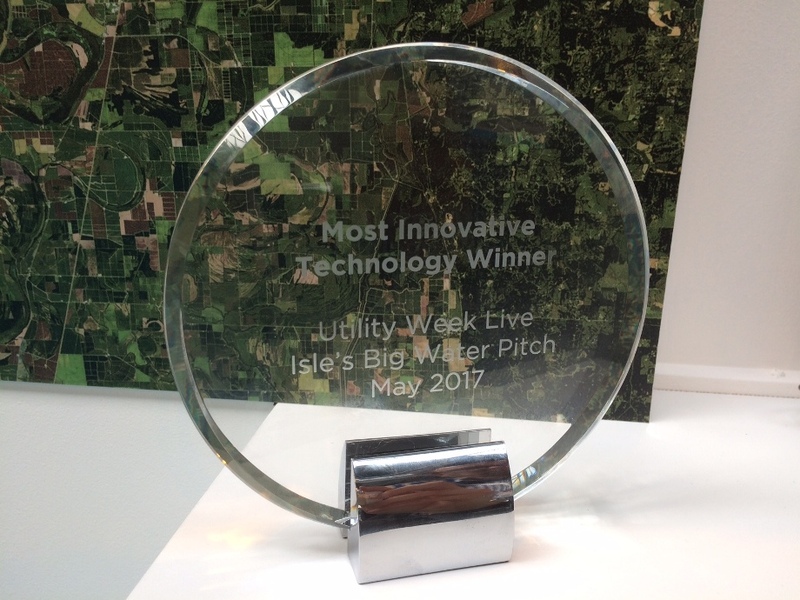 Rezatec has been selected as winner of the ‘Most Innovative Technology’ at Isle Utilities’ Big Water Pitch at Utility Week Live, NEC, Birmingham, UK. Rezatec specialises in advanced geospatial satellite data analysis and derived water industry intelligence products. Rezatec is attending Utility Week Live alongside other emerging technologies in the Water Innovation Zone hosted by water industry technology consultants, Isle Utilities. Rezatec are in a period of growth and expansion into international markets and currently provide satellite data intelligence products to the Water, Forestry, Agriculture and Infrastructure industries. The award-winning data products include catchment management decision support tools such as Peatland Integrity Index, Water Quality Risk and Agricultural Land Use monitoring. And asset management products such as Critical Asset Monitoring, Vegetation Encroachment Monitoring, Pipeline Leakage Detection and Pipeline Risk Index.